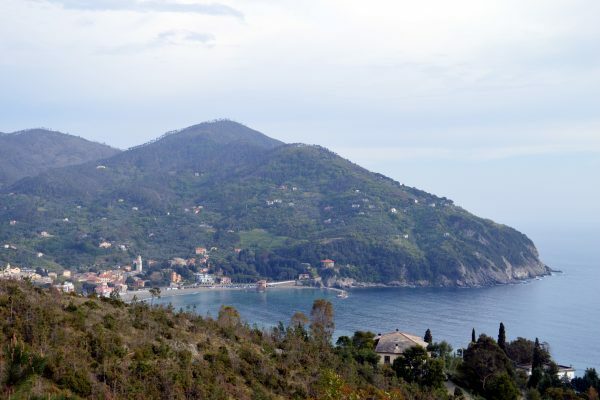 Levanto is a true paradise for trekking lovers. In addition to being the gateway to the Cinque Terre, it hides in its mountains an infinity of trails that only one vacation is clearly not enough to explore them all. 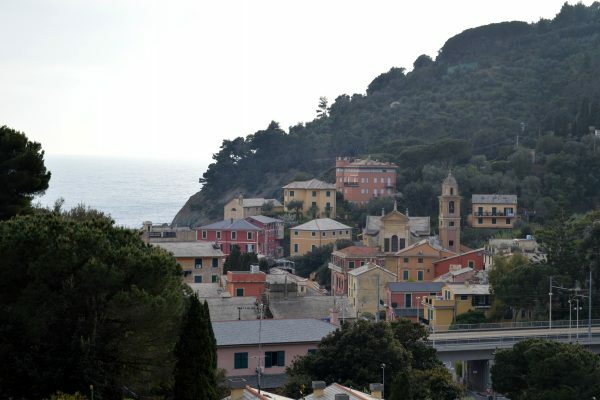 Among the hiking excursions leaving from the center of Levanto, I walked two during my stay in Ligurian land: I am talking about the Levanto – Bonassola and Levanto – Punta Mesco paths, both a half day trip from the waterfront. Ready to go hiking around Levanto? Let’s go! My excursion starts on the seafront and continues straight ahead, keeping the sea on the left. At the end of the waterfront, meet the first CAI signage: it is impossible not to notice it, red and white flag drawn on the walls or signs with the directions of the SVA trail. The path begins to climb steeply between the rocks with a somewhat slippery ground. I recommend wearing comfortable hiking shoes, all hiking will be on a similar terrain. About half an hour after the first deviation you follow the directions to Bonassola and, always uphill, arrive after a few minutes to Scernio. This is the highest point of the excursion: m. 185, altitude that allows to see Bonassola for the first time. So beautiful! Always admiring the sea, I begin to follow path n 664 leading down to Serra, approaching to destination. Overtook a bridge crossing a creek and, shortly, my path is paved, reaching in a few minutes the first houses of Bonassola after an abundant walk time. Bonassola is really characteristic. It’s great to get lost in the streets of its old town, visit the castle with a beautiful view of the coast, and stop for a moment to rest admiring the sea. 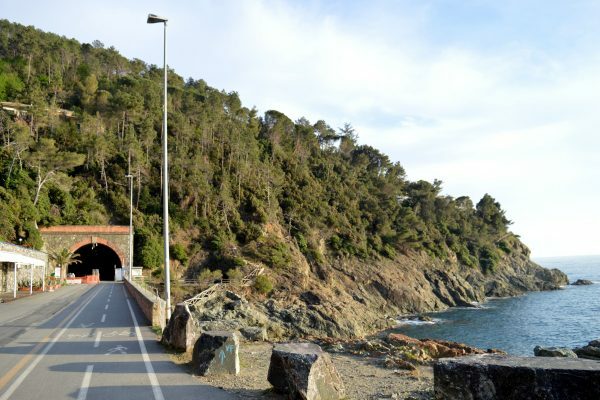 To get back to Levanto I follow the waterfront ancient railway line, now cycle and pedestrian path. In this case no climb, only a path in contact with the sea waves that reaches the starting point of our hike. 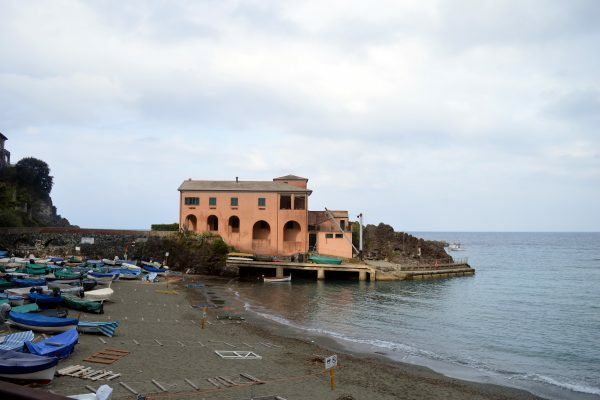 This hiking excursion starts from Levanto’s promenade. This time, however, begins on the opposite side. I follow the indications SVA for Monterosso and start climbing on a staircase that immediately takes off and leads to Sant’Andrea Castle. 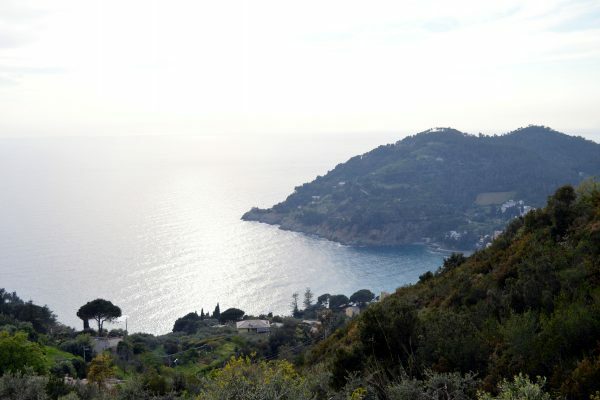 Once the villas area behind me, the path constantly rises among rocks, olive groves with typical terraces and wide views of Levanto. Here too I recommend comfortable shoes! 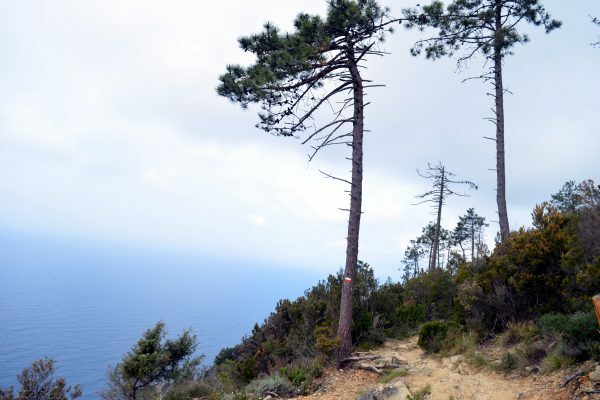 I keep hiking uphill enjoying wide panoramic views overlooking the sea and then the woods, stretching across Case Lovara to 240 meters high. Little is missing now. After 1H30 on the way to the Cresta di Sant’Antonio, mt. 325. To get back to Levanto follow the same path backward. It will take about 3 hours. Two very interesting, scenic hikes, in two completely different environments despite their proximity. 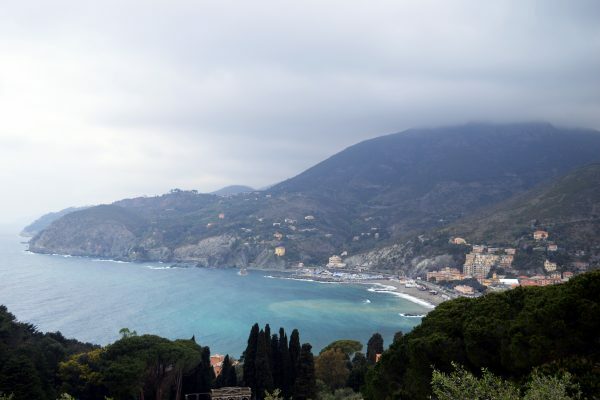 This was just a small preview of all the excursions that can be done here in the area, starting with the medieval towns up in the hills to the Cinque Terre, paradise for hikers. And then, if you get tired, you can end up with a dip in the sea to relax. When you say a complete region. 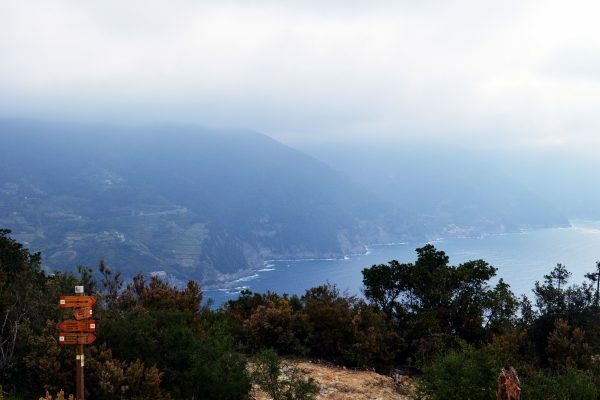 Andrea wrote about Levanto and hiking in Cinque Terre even in his travel blog “Montagna di viaggi”.